The study of technology and its implications in the medical field has become an increasingly crucial area of research. By integrating technological innovations into clinical practices, patients can receive improved diagnoses and treatments, as well as faster and safer recoveries. 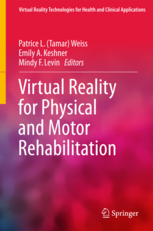 Virtual Reality Enhanced Robotic Systems for Disability Rehabilitation is an authoritative reference source for the latest scholarly research on the use of computer-assisted rehabilitation methods for disabled patients. Highlighting the application of robots, sensors, and virtual environments, this book is ideally designed for graduate students, engineers, technicians, and company administrators interested in the incorporation of auto-training methods in patient recovery. Over the past twenty years, groups of therapists, researchers and engineers have seized the potential of virtual reality (VR) and its associated technologies to work together on designing and testing a great variety of rehabilitation devices and systems with the objective of improving the support for people with disabilities. Virtual reality technologies offer new paradigms for human exploration, understanding and support by providing participants a safe setting in which they can interact and develop goal-oriented activities within functional-virtual environments, especially when they find themselves in situations of cognitive, behavioral or motor disabilities. The solutions built from these technologies reduce patients’ limitations of activity and participation by promoting the recovery of capabilities. The current diversification of VR technology can also lead to tools used at home so that the patient can pursue the training that was initiated with the therapist in the care center. In this book you will find research on the rehabilitation in motor, cognitive and sensorial disorders. The use of virtual reality for learning, training, and rehabilitation for people with special needs has been on the rise in recent years. Virtual reality allows the user to be trained, to gather information and to perform rehabilitation tasks in the virtual reality space. It allows the user to perform independently, safely, and efficiently, in a combined product of sensory, motor, and cognitive skills. The design, development, and evaluation of such virtual reality environments is a multidisciplinary work, the integration of medicine, physical therapy, occupational therapy, neuroscience, psychology, education, engineering, computer science, and art. 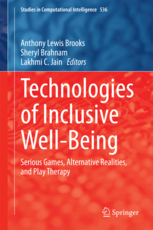 In this book we cover a broad range of topics from virtual reality-augmented therapy in the development of cognitive neuroscience perspectives on motor rehabilitation, the potential of virtual environments to improve orientation and mobility skills for people who are blind, virtual reality for people with cerebral palsy, haptic virtual reality technologies for visual impairment and blindness, perception of space and subsequent design changes needed for accessibility, autism spectrum disorder to improving cognitive and intellectual skills via virtual environments in a range of different topics such as mathematical performance or prospective memory. Virtual Reality for Physical and Motor Rehabilitation distills a dynamic field to aid the work of neuropsychologists, rehabilitation specialists (including physical, speech, vocational, and occupational therapists), and neurologists. The book is part of a series edited by Martin M. Antony and designed for mental health professionals. The series is reflecting the full spectrum of anxiety disorders and their current emphasis in the field of psychology. The books are designed to be used by clinicians, researchers, and students. The book is designed to provide a comprehensive review of the research conducted in the field of anxiety disorders. Topics such as presence and unwanted negative side effects induced by immersions in VR (cybersickness) are presented first in order to explain basic concepts that cut across all other chapters. 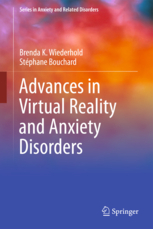 The following chapters are addressing the various anxiety disorders and follow the same general structure: (a) an introduction of the disorder, (b) the presentation of at least one clinical trial establishing that there are effective psychological treatments for this disorder, (c) a descriptive review of outcome studies involving VR; and (d) a focus on a specific topic relevant to VR. The book provides a presentation of key clinical trials documenting the efficacy and effectiveness of VR for following a clear disorder by disorder sequence, plus an in depth coverage of evidences and knowledge coming from all anxiety disorders, such as lessons learned from clinical trials, experimental studies on treatment processes, the contribution of psychophysiological data, describing clinical manuals, the integration of virtual humans, or the development of virtual environments. The text is supported by numerous figures illustrating virtual environments and research results. The book concludes with a case example of the development of a virtual clinic and thoughts on the future of VR for anxiety disorders.